There is a real opportunity to support local Micro/SME businesses and social enterprises to avail of supply chain possibilities arising from the construction phase and through existing and future hospital(s) spending and procurement. We have started to identify suppliers and vendors that might meet the business needs of the contractor(s) and hospital(s) and will look at how we can familiarise them with the contractor’s procurement needs and processes. During the enabling works phase of the project a ‘Meet the Buyer’ event was held in September 2016 in the F2 Enterprise Centre where 23 local companies met with the BAM’s procurement team to find out about their specific supplier needs for this contract. 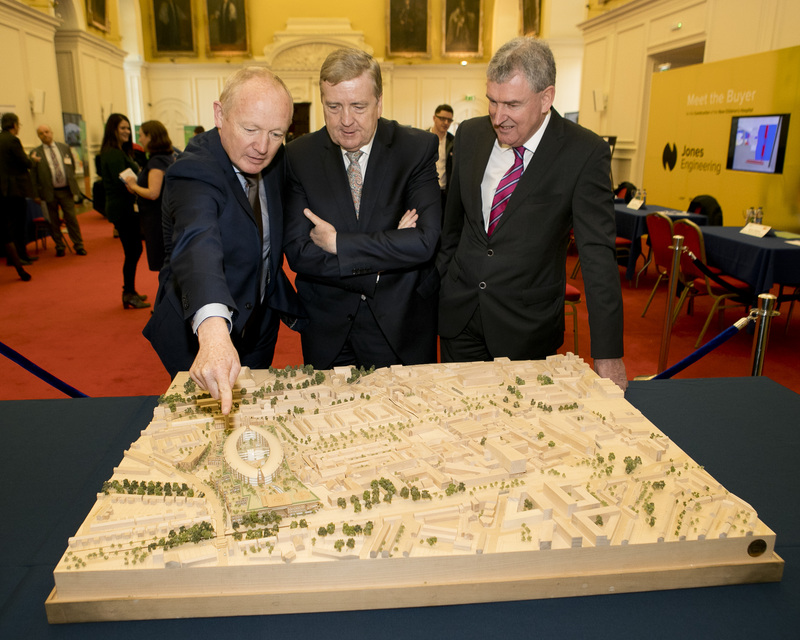 In October 2017, Minister of State for Trade, Employment, Business, EU Digital Single Market and Data Protection, Pat Breen today welcomed over 200 construction companies to Enterprise Ireland’s Meet the Buyer event for the construction of the new children’s hospital. In association with the National Paediatric Hospital Development Board, the business event took place at the Royal Hospital Kilmainham, Dublin 8. 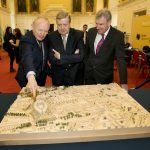 A total of 350 attendees from over 200 construction, engineering, mechanical and electrical companies from all over Ireland registered for the event, availing of the opportunity to pitch for business to the new children’s hospital contractors BAM Building Ltd, Jones Engineering Group and Mercury Engineering Ireland. Face-to-face meetings between the buyers and potential suppliers were held in a speed dating format, with each supplier having five minutes to make their pitch to their chosen buyer(s) on a first come, first served basis. View the below video for more information on this event.